Is there one most important thing that the African Union can do that can have transformative agency in solving Africa’s problems? That question was posed to three leading luminaries of Pan-Africanism on the opening night of the 5th African Unity for Renaissance conference. The conference was held from 22nd to 25th May 2015, at the University of Johannesburg’s Kingsway and Soweto campuses, South Africa. The question came from the Director of ceremonies, Professor Chris Landsberg, SARCHi Chair in African Diplomacy and Foreign Policy at the University of Johannesburg. The three speakers for the plenary were Dr Elizabeth Rasekoala, engineer, founder and co-chair of the Pan-African Solidarity Education Network; Professor Mammo Muchie, SARCHi Chair in Innovation and Development at Tshwane University of Technology (TUT); and Professor Adebayo Olukoshi, Director of the United Nations African Institute for Economic Development and Planning. No doubt that all three are pivotal for the continent. Opening the borders and allowing free movement of Africans harks back to 1963, the year the Organisation of African Union was formed. It was Kwame Nkrumah’s dream that one day Africa would be “one nation.” To Nkrumah, there was no logic to the colonial borders, drawn at a meeting in Berlin, in 1894, with no African representation. That the borders have remained solidly in place more than fifty years after African countries broke free from colonialism speaks to the enduring legacy of 19th century geopolitics. The big news on the continent in the first week of June 2015 was the “Cape to Cairo” trade agreement. It has been signed by 26 countries, from Libya and Egypt in the north, to South Africa. Called the Tripartite Free Trade Agreement, it spans three regional blocks; the Common Market for East and Southern Africa, the East African Community, and the Southern African Development Community. At the 2015 annual meeting of the African Development Bank Group, participants agreed that “simplifying visas to unlock the movement of talent would play a significant role in boosting Africa’s competitiveness and integration.” Just two years ago only five African countries offered visa-free access or visa-on-arrival to all African countries. These were the Seychelles, Mozambique, Rwanda, Comoros and Madagascar. Today, fourteen countries do so. 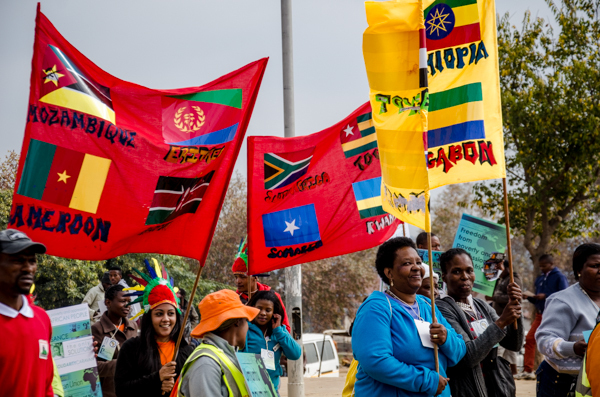 But what exactly is Pan-Africanist about trade agreements, or open borders? Does the development reflect a growing Pan-African consciousness amongst ordinary Africans? Amongst Africa’s intellectuals, Pan-Africanism is an ideal to swear by. Delivering this year’s annual Thabo Mbeki Africa Day lecture at the University of South Africa in Tshwane on 25th May, Dr. Mohamed ElBaradei, an Egyptian Nobel Peace Laureate, said he did not like the terms “North Africa” or “Sub-Saharan Africa”. There is only one Africa. That made him sound much like Ghana’s first president, the late Dr Kwame Nkrumah, whose wife was in fact Egyptian. Former Egyptian president, Abdel Nasser, was a known Pan-Africanist. Today, it is difficult to point to a sitting African leader who espouses the type of Pan-Africanism practiced by African leaders in the 1960s. Pan-Africanism has mostly been an elitist ideal shared by presidents and intellectual elites. 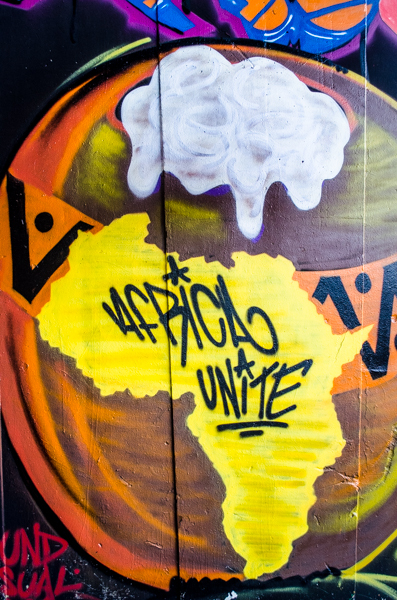 A grassroots Pan-African agenda has always been hampered by two absences: a local language discourse translating Pan-Africanist ideals into community action, and a Pan-Africanist curriculum to educate young Africans. Opening the borders, as per Professor Olukoshi’s suggestion, and as the fourteen countries have done, would unhinge the latent Pan-Africanism of the people. That could potentially diffuse tensions arising from nationalist fervour, protectionist paranoia, and Afro-xenophobia. This Pan-Africanism of the people, a parallel Pan-Africanism if you will, would need to work hard to overcome nationalist identities and parochial territorialism. Could it also solve economic inequality amongst neighbouring nations? Put differently, could open borders drive the momentum needed to solve the very problems given as an excuse against open borders? I argue that it could. And two things give us a starting point to work in tandem with the opening of the borders. First, two-way translations of Pan-Africanist ideals and the African Renaissance into local languages and community action; and translations of contemporary African knowledge into English and other global languages. Second, put Pan-Africanism and the African Renaissance into the school curriculum. There is no better time for ordinary Africans to lead the way in letting grassroots Pan-Africanism flourish. Steve Sharra, Ph.D., a Malawian, is currently a visiting scholar in the University of Botswana’s Faculty of Education, Department of Languages and Social Sciences Education. He blogs at Afrika Aphukira (Africa’s Rebirth), and is on twitter at @stevesharra.